So the Islanders were eliminated from the NHL playoffs on Saturday night and since I'm still in deep mourning, I could definitely use a little retail therapy to cheer me up. Fortunately, the shopping gods are on my side because there are a couple of pretty interesting/good sales coming up in the next couple of days. If you read this blog regularly, you know I'm totally willing to spend money on high end products. But there are some brands that way too rich even for my blood. Le Metier de Beaute Cosmetics is definitely one of those brands. In case you're not familiar with the pricing, a single eyeshadow from the brand goes for $30. Still, I'm beside myself with curiousity about the line. The crazy, little voice in my head says, this stuff must be seriously good if they can get away with charging that much! -- and I'm dying to know whether that's true or not. Now, I may get my chance. 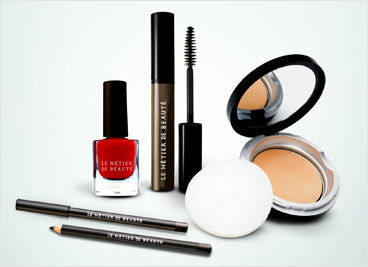 For the first time tomorrow, May 14th at 11 a.m. EST, Le Metier de Beaute Cosmetics will be available on HauteLook. I have no idea what products will be available or what the pricing will be like, but you'll likely get a pretty good deal on whatever is available so if you've been curious like me, now may be the time to check out the brand. On the other hand, if you want to stock up on some staples or try out products from brands that are a little more mid-range in terms of pricing, Beauty.com is having a 20 percent off F&F sale starting Tuesday, May 14th at midnight PST and ending Friday, May 17th at 11:59 pm PST. The email that I received about the sale doesn't mention a specific code, so I'm not sure if the savings will be automatic or not. If I receive additional information, I'll update this post. I definitely plan to do a little shopping at one or both of these sales to ease my Islanders-related pain. If you wind up making any purchases, please feel free to share them below.